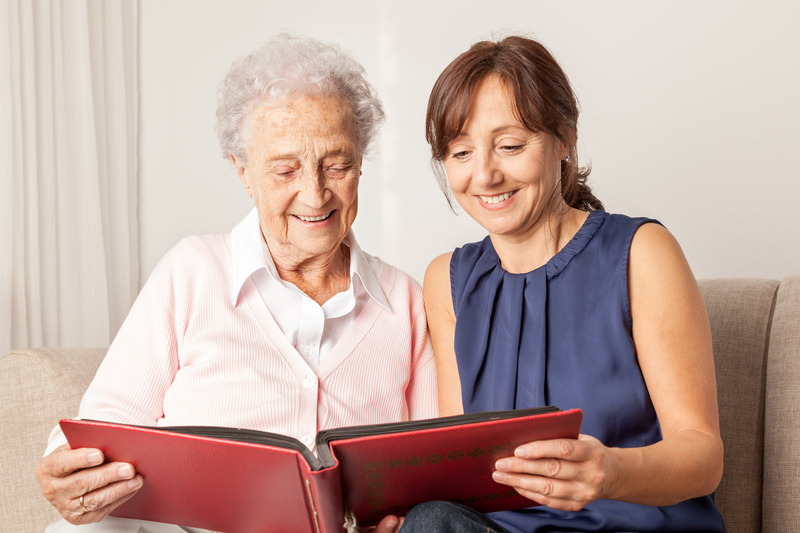 When your senior loved one has been diagnosed with Alzheimer’s disease or another form of dementia, being designated as the primary caregiver can be a difficult task. If you follow these recommendations from the expert senior care professionals at Bethesda, caring for a senior with dementia or Alzheimer’s will be much easier. Dementia and Alzheimer’s disease are subjects that many people avoid. In fact, according to a national study, more than half of people choose not to pursue an examination even when they believe something might be wrong. They fear such a diagnosis of dementia would equate to the end of their life. However, facing the possibility of dementia or Alzheimer’s early is important. An early diagnosis means having access to treatments that can improve symptoms and slow disease progression. Also, early diagnosis provides more time for patient and loved ones to learn about the disease, find support, and prepare for the future. What is dementia? What is Alzheimer’s disease? Dementia is a group of symptoms involving a decline in mental abilities, such as reasoning and remembering, that significantly interferes with daily life. Alzheimer’s disease, which is the most common form of dementia, results from the loss of connections between brain cells, which eventually die. Other causes of dementia include Parkinson’s disease, vascular diseases, and chronic drug use. In most cases, dementia cannot be cured. There is no cure for Alzheimer’s disease, and its destruction of cells in other regions of the brain leads to failure in bodily systems which, coupled with advanced aging, prove fatal. When dealing with a diagnosis of dementia or Alzheimer’s disease, it is important that you learn all that you can about you or your loved one’s condition. There are many sources of information for caregivers and those who are living with dementia or Alzheimer’s. The 36-Hour Day by Nancy Mace and Peter Rabins. This is a self-help guide for people caring for loved ones with Alzheimer’s disease, dementia, and other memory impairments. Creating Moments of Joy for the Person with Alzheimer’s or Dementia, by Jolene Bracky. The book speaks about living and creating joy, moment by moment, in the life of a person who has dementia. For more information about dementia and Alzheimer’s disease, there is also the Alzheimer’s Association. As a dementia caregiver, you may find the urge to do everything for your senior loved ones. However, it is beneficial for seniors with dementia and memory loss to feel independent and continue with any daily tasks they can manage. Check out these additional tips from the Mayo Clinic for dementia caregivers. Taking your loved one to their next medical appointment. Even having someone sit with your loved one while you take a walk or run some errands can help you recharge and prevent burnout. Visit the Alzheimer’s Association – Greater Missouri Chapter to discover additional support resources. If you need assistance caring for a senior with dementia, Alzheimer’s, or any form of memory loss, contact Bethesda. Our Memory Support communities in the St. Louis area provide support to caregivers and families of seniors. Contact us or schedule a tour to learn more.